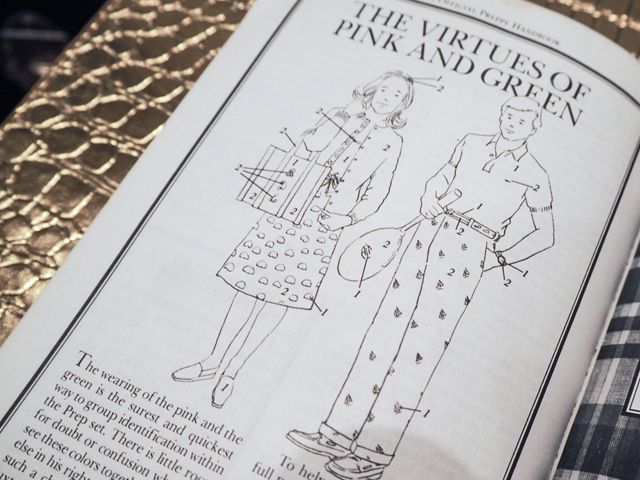 In 1997, I was given The Official Preppy Handbook. At the time, I was attending Phillips Exeter Academy in Exeter, New Hampshire - a prep school that is actually mentioned several times in the handbook. 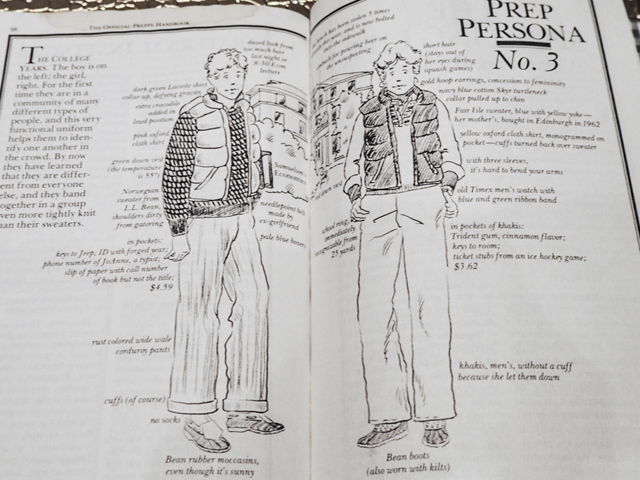 The Official Preppy Handbook was "handed down to me." Well, in actuality, I'm not sure if it was intended for me or not. It was laying in my dorm closet on the first day I arrived and unpacked. I took it as a sign. This was meant to fall in my hands. That night, I lay awake in my bed and read the manual from cover to cover. Yes, it's a manual for living - the preppy way. Over the next few weeks, the Official Preppy Handbook became a source of constant inspiration, and provided some wonderful library laughter. For years, this book was an encyclopedia of knowledge when it came to defining a whole set of people - the preps! Now, 35 years after it was first published, The Official Preppy Handbook has travelled with me across the USA, over the globe to Italy and now has pride of place in my flat in London. Sadly, it has suffered severe water damage. In all honesty, it's a little more serious. After sharing the book with a good friend in New York City over coffee, the excitement of seeing "The Virtues of Pink and Green" led to a major spilling incident. Stains or no stains, I reference this beauty on a regular basis. 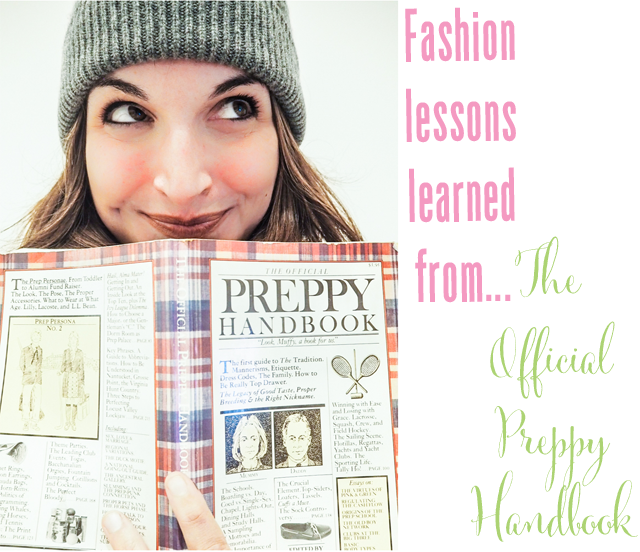 So, I thought I'd share the 14 fashion lessons I've taken on board since The Official Preppy Handbook was published - 14 lessons that are still relevant for women in this day and age - whether you consider yourself a preppy lady or not! 1. "Everything matches - some Preppies go as far as to change their watchbands every day." So true - the only change now is that said watch now is made by Apple and you have to choose which Hermes band you'll wear from one day to the next. In 1980, the idea of wearing a "computer" on your wrist wasn't exactly a "thing." What on earth would old school preps say about Twitter and Instagram? Or Snapchat even? I digress. 2. "Preppy clothes are built to last, since they certainly won't go out of style." Two words - Ralph Lauren. Need I say more? I have sweaters that are 30 years old that have been handed down to be by my mother. Preppy clothes are eternal. Buy quality, not quantity - a lesson that never goes out of style. 3. "Primary colors and brilliant pastels are worn indiscriminately by men and women alike, in preposterous combinations." And what's wrong with that? Absolutely nothing! 4. "Preps love prints-their own particular favorite prints." Need I mention J. Crew's love for critter pants? Yeah, still going after 35 years and counting. Who doesn't love a whale, sailboat or lobster embroidered on fabrics? Wardrobe staple! 5. "Most preppies are so proud of their monogram that they put them on virtually everything in sight." I need only mention one company here - LL Bean. Boat bags with monograms are every preppie's bag of choice. Time for me to admit I have a dozen of them. Yes, I have a problem. 6. "There is one sartorial goal for Preppy women: to look like Mummy." Well, this is more personal and to each their own. But, it is 100% true for me. Mum knows best and always has. Everyday I aspire to be as fabulous as she was/is. 7. "Get completely dressed for a party and then take off one piece of jewelry." Just a brilliant tip no matter the date or time. 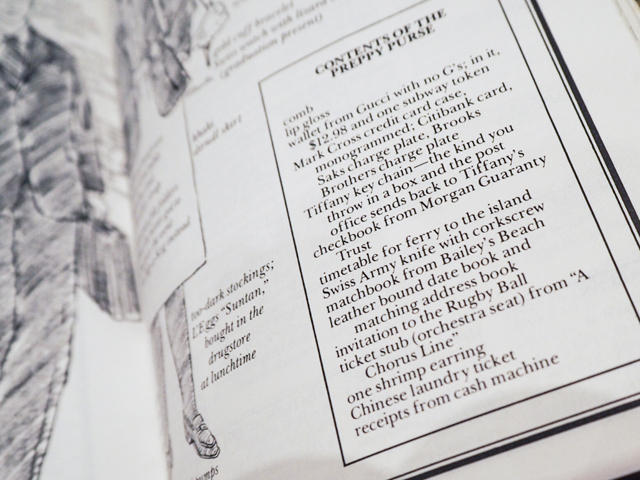 Oh Preppy Handbook, what did I ever do without you? 8. "Sperry Top-Siders. They have been in Prep closets since sailing lessons started in sixth grade." Says it all, and yes, Sperry Top-Siders remain a closet essential. 9. "Diane von Furstenberg Wrap Dress. Never mind that the print gives it away as four years old. Flattering on all body types, wearable for work or dress-up, comfortable- it's practically perfect." And 35 years later - it's still the most flattering dress in all the land. 10. "Pearls. Everyone has them, and they're usually real (grandmother's). A single strand, of a modest length, with a simple clasp." I went to a college where we never removed our pearls - even worked out in them. Still my most prized possession in the jewelry box (although worn a lot less in London these days). 11. "Coach Bag. Good materials, good workmanship, classic design. Navy blue or winter best colors: last for years." You obviously know I love this brand - hell, I designed a bag for them. Ahem. The FFG Coach bag. 12. "The camel's hair coat is the quintessential Prep winter coat for woman." If you don't own a camel hair coat.... well, you just need to have one. Now. What are you waiting for? Ralph Lauren's waiting to help. Go. 13. "The virtues of Pink and Green. The wearing of pink and green is the surest and quickest way to group identification within the Prep set." Pink and green is a fashion combination that the Prep set defined and the rest of the world has adopted. It's not the easiest combination to pull off, but is always worth a try as the style points are endless. 14. "In casual wear, it is considered very spirited, very fun loving to wear one offbeat, loud item - usually the pants." It's 2015 and fashion favors the bold and their fabulous printed wide leg or palazzo pants! Now, go forth and consider yourselves well versed in modern prepped, influenced by the folks that started it all... officially! 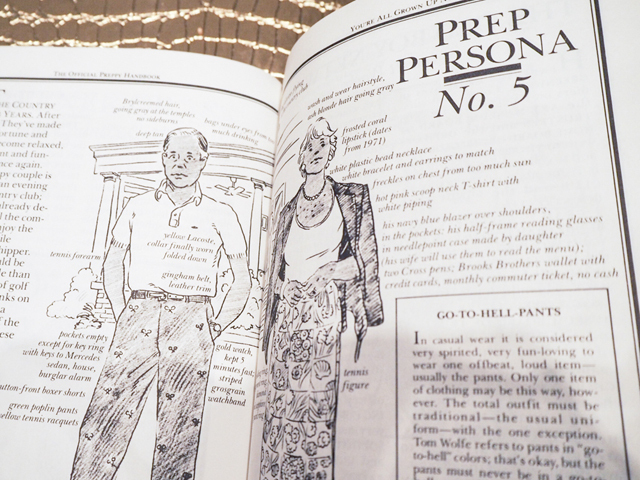 For an updated version of The Official Preppy Handbook, check out True Prep.